The General Services Administration’s (GSA’s) focus on customer experience can be traced back to its inception on July 1, 1949, when President Truman created a new federal agency to manage and store government records, handle emergency preparedness, and stockpile strategic supplies for wartime. While our customer focus has stayed with us, GSA’s mission has morphed and expanded to include real estate, contracting, technology, and much more. With such a wide and varied portfolio, it’s often hard for customers to navigate all the programs and services we offer, so we’re making some changes to improve customer experience at GSA. 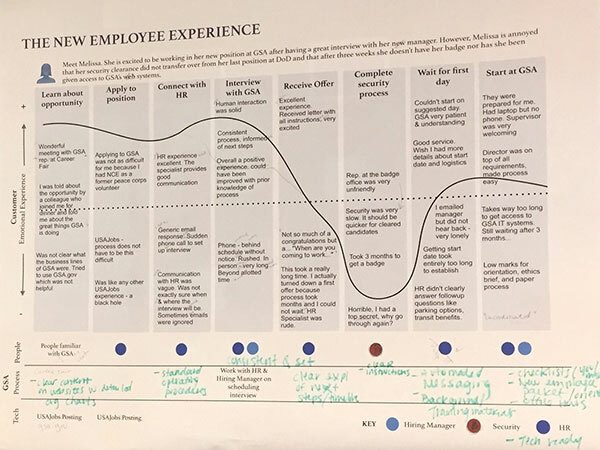 When I came to GSA in 2014 as the agency’s first Chief Customer Officer, one of the first things we did was to create a Customer Team to help GSA employees learn to walk in their customers’ shoes. From tenants to contracting officers, we’re surveying customers, sifting through data, and conducting interviews to get a better idea of what a customer journey with GSA looks like. Through this work, we’ve found people across the agency who consistently provide great service… but we also realized that no one at GSA had the entire customer experience in mind. Each program focused on their own customers, not realizing that these same people might also work with other parts of GSA. With such a broad range of programs and services, no one had ever brought a big-picture view to our customer service efforts, but our Customer Team is doing just that. It’s a challenge to think about how our day-to-day work impacts the experiences of the people we serve, especially as they navigate through different parts of our organization. To ground future business decisions in customer insights, we’ve instituted a Voice of the Customer program. We work with customer groups to compile meaningful, actionable data about the needs, tensions, and frustrations they face, and we put that information into the hands of decision makers. We’ve also created a regular review and action planning process to help teams be proactive in anticipating and responding to customer needs. It’s our hope that this Voice of the Customer program will weave customer-centric thinking into the fabric of everything we do at GSA. We’re also bringing our expertise to enterprise-wide projects that impact our customers. 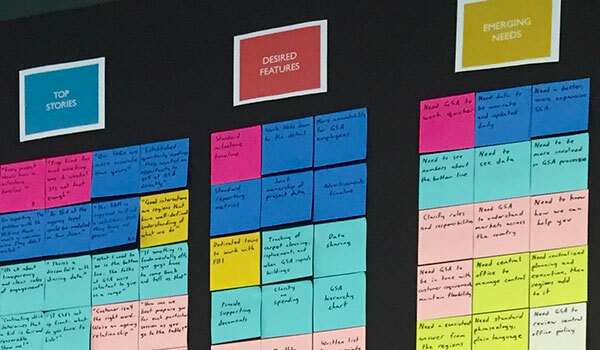 With members of our Customer Team acting as agile project managers, we bring people from across the organization together, keeping the customer at the forefront of project design and execution. Current projects include consolidating our call centers, creating a more cohesive and customer-centric online experience, and designing a mobile tool for tenants to report service issues. Our Customer Team is also addressing customer pain points that we’ve uncovered while walking in our customers’ shoes—many that had fallen through the cracks because they were so wide that no single group could tackle the entire problem. Please contact us to learn more about GSA’s Customer Team, and tell us in the comments how your agency is tackling high-level customer experience improvements. Phaedra Chrousos, is the Chief Customer Officer and Associate Administrator, in the Office of Citizen Services and Innovative Technologies/18f, at the General Services Administration (GSA).